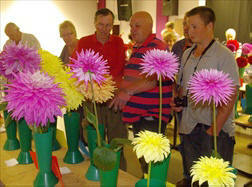 Despite the weather, the first society show of the year saw 23 exhibitors put up 157 vases, about the same as last year. 40 members were present for the show. Novices Paul Bugden and Paul Freeman did very well, receiving some whiskey for their winning entries. 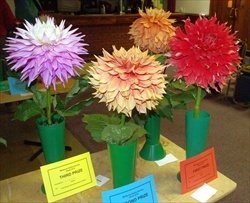 We thank Maurice Woodfield, assisted by Dave Bates for judging the show. 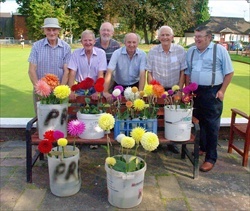 Below we see some of the committee with their blooms. 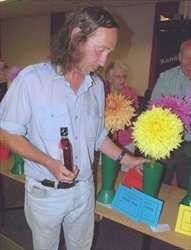 Paul Bugden wins Best in Show. 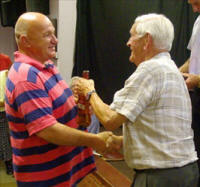 Society President Les Jones presents Paul with a the bottle of whisky. 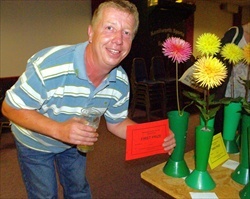 Below Paul is talking to Dave Bates about his 'Sir Alf Ramsey' winning bloom. 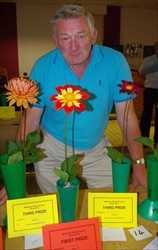 Paul Bugden also won 1st and 2nd prize in the Giant or Large Dec class1. He won with 'Bryn Terfel' and second with 'Jean Shaw'. Paul Freeman won Second best in Show with his bloom of Mark Hardwick in the Novice class 17 - coming second to Paul Bugden. On the right we can see Paul with his prize in hand. 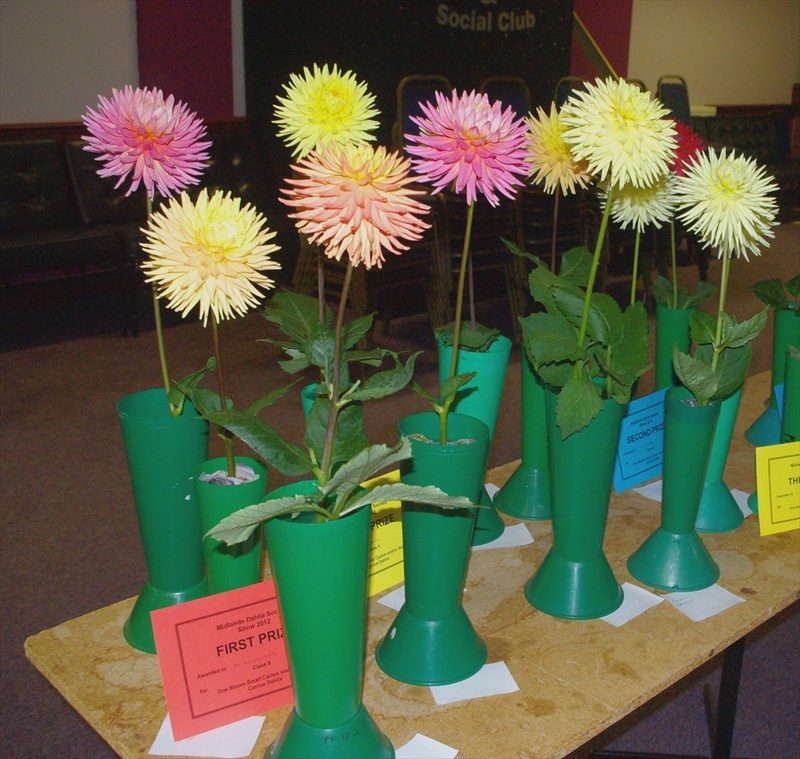 Mark Williams had a winning entry in class 8 - the small cactus / semi cactus class showing 'Cherwell Goldcrest'. Click on the photo to see a larger picture of Class 8 entries. 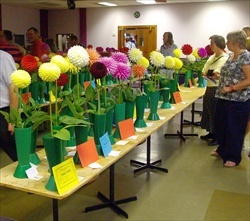 Howard Richards won class 14 with an impressive bloom of 'Wheels'. 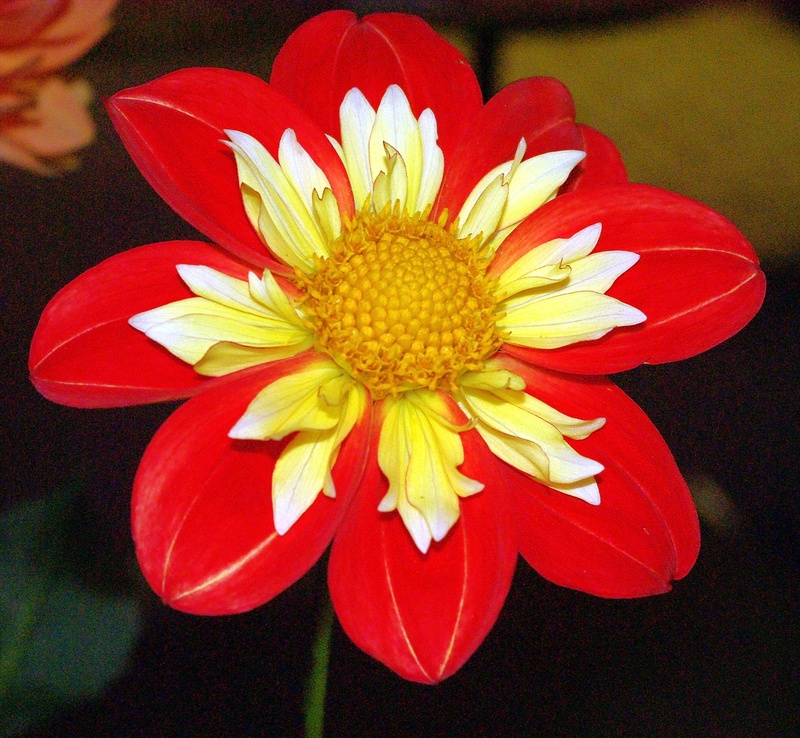 If you click on the photo you can see a large 'Wheels' bloom. Members looking around the show.